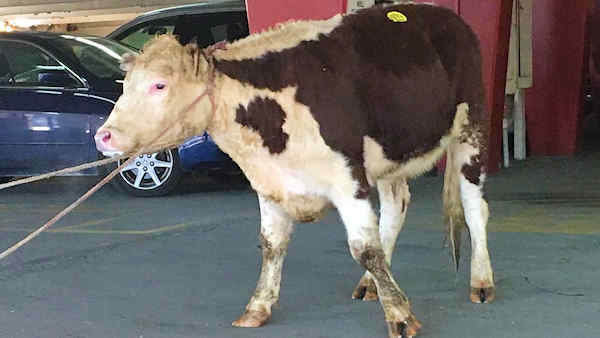 QUEENS, NY -- The NYPD corralled a runaway cow that got loose in Queens Thursday afternoon. The incident happened in Jamaica, near 164th Street and Jamaica Avenue, just after noon. Police responded to the scene and were able to harness the heifer without incident. 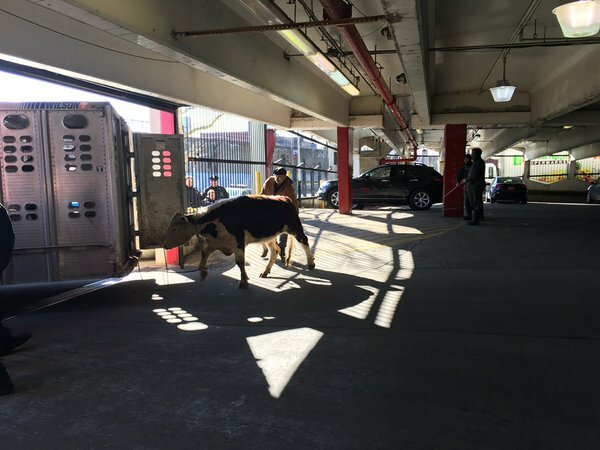 The bovine was cornered in a parking garage at Archer Avenue and 165th Street, and no injuries were reported. 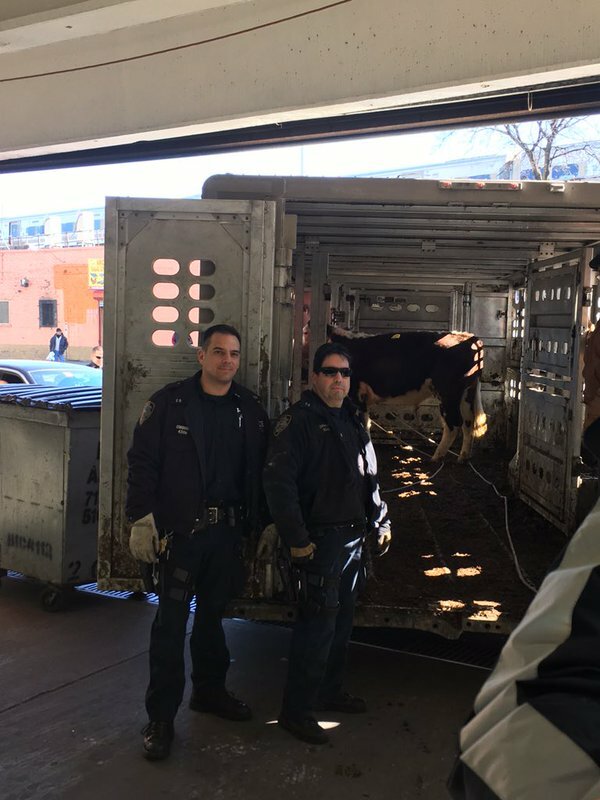 It is believed the cow escaped from the Jamaica-Archer Live Poultry and Meat Market on 165th Street. It was initially spotted on Jamaica Avenue and Merrick Boulevard.